Photo of: East Coast of Ireland: Wicklow: Bray and Sugarloaf Mountain. A sunset view of the town of Bray with the Sugarloaf Mountain behind it. 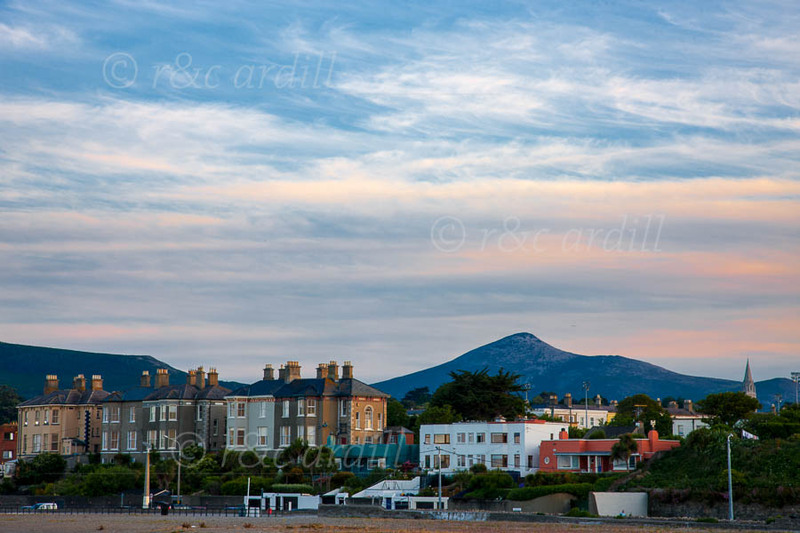 The photograph was taken at sunset from Bray Strand.